If you want an authentic wood burning stove experience without any of the mess, odors or dangers, than the Stockbridge Opti-Myst Electric Fireplace Stove by Dimplex is the choice for you. 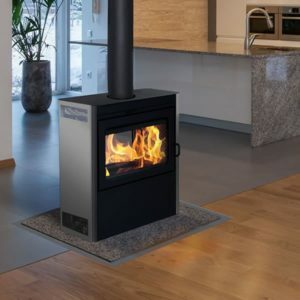 This stunning fireplace looks just like the old fashioned wood stoves which warmed the homes of our ancestors and which have now come back in style for today’s home design trends. This larger sized unit features decorative, operable doors as well as subtle accents that give it that extra homely charm. The true show-stopper of the Stockbridge is it’s Opti-Myst log set that’s been molded from actual charred pieces of wood. 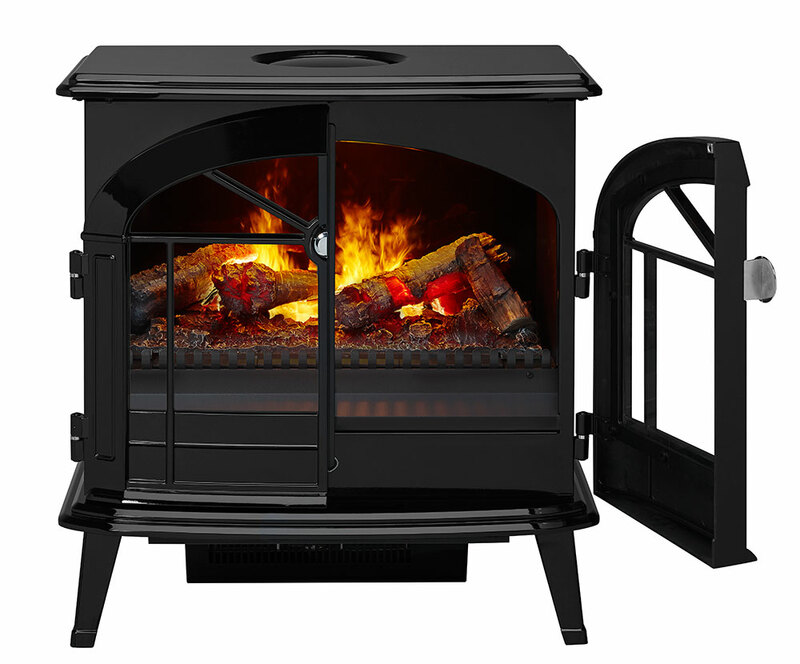 Using the patented Opti-Myst evaporative technology, life-like flame effects rise from the stunning log set. With just ordinary household water, the unit produces water vapor particles that create the illusion of real smoke and flickering flames. The overall effect is so realistic your family and friends won’t believe you when you tell them that its fake. 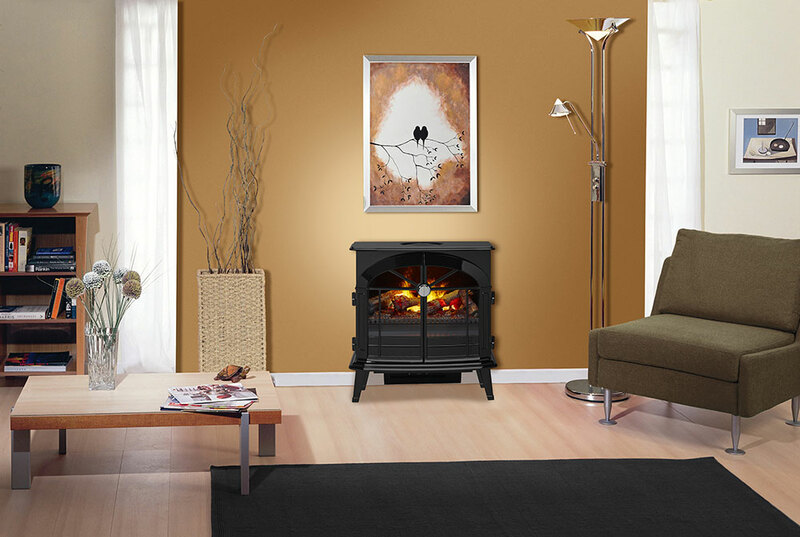 The Stockbridge also features a fan-forced heater that creates a warm and inviting room, just like a real stove. 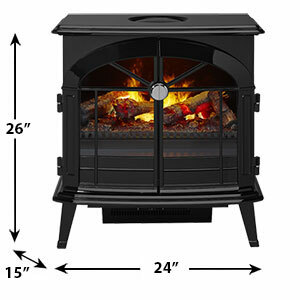 The 4,777 BTU heater will warm areas up to 400 Sq. Ft. with supplemental heat, ensuring you maintain the ideal comfort even when the temperatures outside drop. Since the heater and flame effects operate independently from one another, you can enjoy the relaxing flame effects year round, even in the middle of the summer. 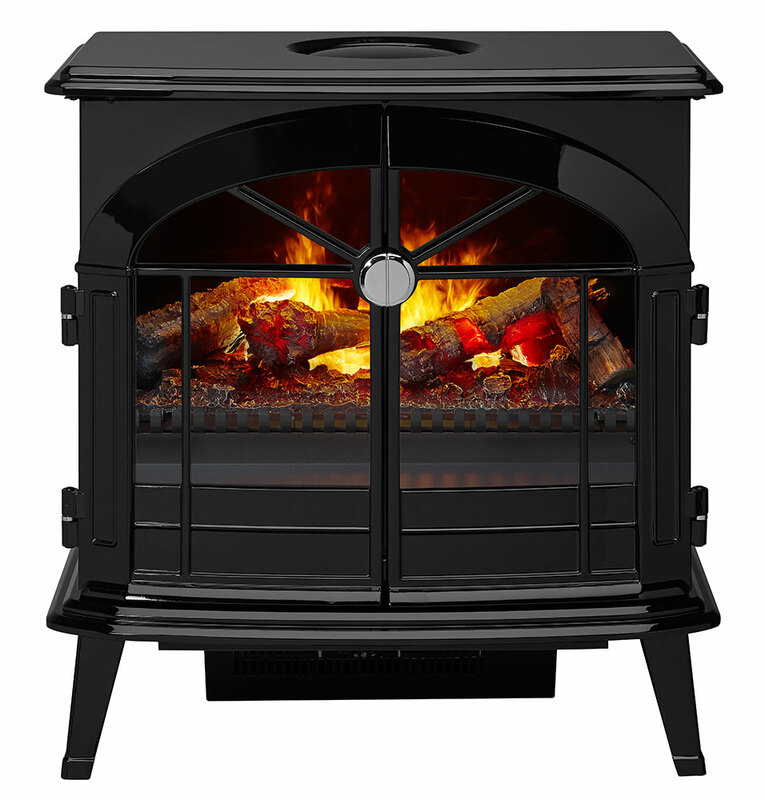 The unit also features a multi-function remote control that lets you turn the unit, flame effects and heater on or off. 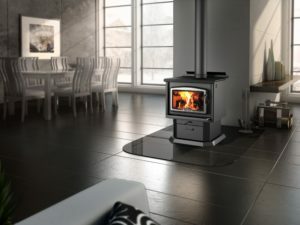 If you want the most believable and authentic wood burning stove experience, the Stockbridge Opti-Myst Electric Fireplace Stove is the only way to go. 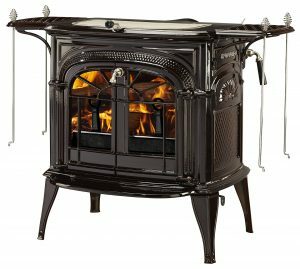 Supplemental warmth heater for up to 400 Sq. Ft.